What does lining up at the starting line of a marathon have in common with creating an architecturally designed building? Plenty! Frankly too much to mention in one post so let me focus on one common element and that is the lack of preparation. What? Ho w can that be? 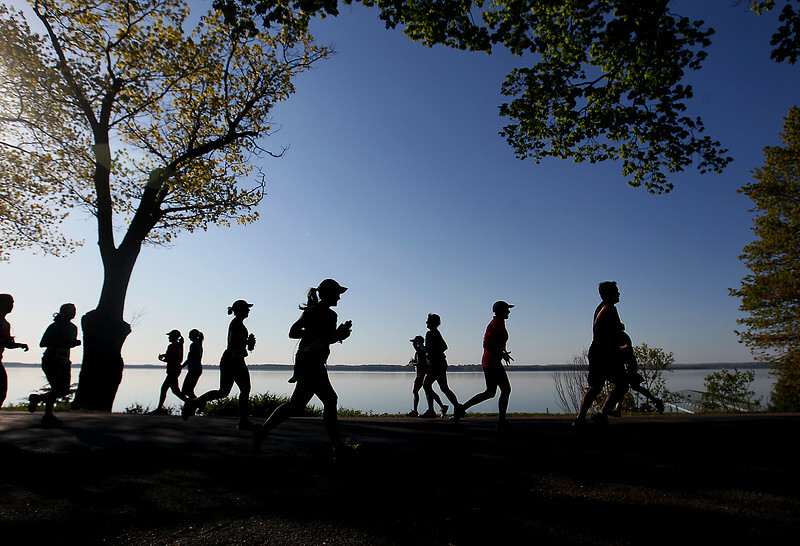 Marathoners run all those miles during training, suffer through heat, winds, snow, etc. mile after mile. How can any runner standing ready for the start of a marathon ever feel unprepared? Well, every marathoner I know regardless of their training will tell you they wished they would have run one more long run, or pushed themselves a little harder in the early months of their training. Maybe their dietary habits were not the best. The list is endless. 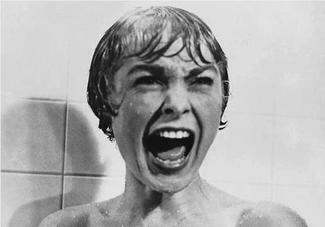 I remember having these feelings overwhelm me as I toed the line for my first marathon in 1993. Now with less than 48 hours to the start on Sunday morning I still have the same worry and anxiety. OK, that might make some sense, but how does that relate to designing a building? In every design effort there must be an end. A time to put pen and pencil down and move to the next step. Typically this involves some form of an intermediate due date. Inevitably all design and drawing must be completed, prints assembled, and drawings submitted for permits, bidding, and construction. This is the point that the architect truly understands that the set of design documents are not perfect and the architect wishes for more time to continue to “tweak” the design. The sense of worry and anxiety are much the same. What changes is time. The more experienced the marathoner and the more experienced the architect the more likely the worries and anxieties become less of an issue. They never go away. There is no such thing as a perfect marathon or a perfect design. All the marathoner or architect can hope to ever do is to simply do their best each day or workout and trust that the culmination of effort will allow them to achieve a high level of confidence on race morning or project deadline and that they continue to pursue excellence going forward. Thanks for reading and continue to Run Happy. Being a marathoner means you are not a part of the normal population for less than 1% of the population ever completes a marathon in a given year. Being an architect also means you are not among the count as “normal” at least in terms of statistics, we will not even venture to go down the path of other various reasons why architects may not be a part of the “normal” population. Since you, the readers are normal, you will be able to compute the rarity of an architect who is a part of both select groups! This week is Marathon Week here in Detroit. I plan to run the Detroit Marathon this Sunday morning for the 5th time in my long running career. Yet I hardly feel like a runner this week at all. In fact I feel just the opposite! I feel slow, I feel overweight, I feel sluggish, I fee hungry, etc. I also have more time on my hands to feel these things because I am in the final week of my training also known as the taper mode. As an experienced runner I know this is exactly how I should be feeling. It is ironic that the more one feels like a non-runner the odds increase that they will do well during their respective marathon race. I recall feeling this way in New York City prior to the NYC Marathon in 2008. I also remember thinking how in the world would I ever be able to run let alone a complete marathon that represents one of the most grueling routes in all of the major world marathons! Well, I did and I also had the best running experience of my entire marathon career! The taper period is one where the runner decreases the miles, maintains a certain amount of intense running, builds on rest, stores energy by way of proper eating, and generally lets their body get ready behind the scenes to endure the 26.2 mile challenge that awaits. Thus, there are fewer times to get out and run and when you do run, the runs do not last as long. Therefore the runner has more time on their hands and starts to become a “Normal Person”. My norm al state of mind will not last long as the Detroit Marathon is less than 6 days away from now as I write. But I do plan on a very quick return to the land of Normal after my marathon. We have family birthdays to celebrate and a whole lot of good food and fun await as soon as I do complete my 26.2 miles. I do plan to take some quiet time off next weekend and enjoy the sights of Northern Michigan and leave my running gear behind. Now that to me sounds like a real trip to the land of Normal where I hope to learn first hand what normal people do. Thanks for taking the time to read this and continue to Run Happy! What a difference a year makes! About this time a year ago I had a job that kept me busy, was reasonably secure, but not exactly professionally fulfilling or challenging. I was counting the days and sometimes even the hours to my retirement. I also believed my participation in the upcoming Chicago Marathon would prove to be my last marathon. In fact I was coming out of a 4 year retirement from running marathons. I had won my Age Group at the City of Oaks Marathon in Raleigh NC in 2011 and I had decided that was a perfect time to retire from marathons. Little did I know what the future had in mind for me! In the spring of 2014 I entered the lottery to run Chicago only because my daughter Alexis was planning to run Chicago as her first ever marathon. We each were selected via the lottery to run the Chicago Marathon. Alexis joined my training group and was making excellent progress towards her first marathon when a freak injury prevented her from participating. So I continued without her and ended up running a decent race in the windy city, well at least for the first 18-20 miles. I knew I had started too fast (7:45 avg pace) for the first 13 miles. I had fantasies of running my fastest marathon in over 20 yrs! Alas, it did not happen. Let’s just say it was not a pretty sight to see. Nonetheless I did manage a 3:45 finish, good enough to qualify to run the Boston Marathon with over 8 minutes to spare. Not a major concern to me because I already ran the Boston Marathon back in 2006 and I have never had any overwhelming desire to return. I did not have a good experience in Boston in 06 and I never had a very strong motivation return. One must first be highly motivated to train and compete in any marathon, otherwise do not even begin to attempt. My official days of competitively running marathons were now over at last! I did however have at least one more marathon in my aging legs and that would be to run along side of my daughters Bridgett and Alexis during their first attempts to complete a marathon. So it came that Bridgett had decided to return from North Carolina back to her hometown and make the Detroit Marathon her first experience. Meanwhile Alexis was recovering from her injury and aiming to once again compete in the Detroit Half Marathon in October 2015. I had decided to run with Bridgett and help her achieve her goal. Her marathon time would likely be slower than I am accustomed to running thus a new experience for me to look forward to enjoying. Bridgett did very well with her training plan for Detroit but in mid September the combination of a busy workload, graduate school, daughter Katie, a very hot and humid training environment in NC, all combined to not quite attain the level of training she needed to achieve to be able to successfully complete her first marathon. She made the wise decision to back off of any further intense training and plan instead for another race. All of this is a very long way of saying that two weeks from this morning I will once again be running another marathon! This will be my 5th Detroit Marathon and my 12 marathon. 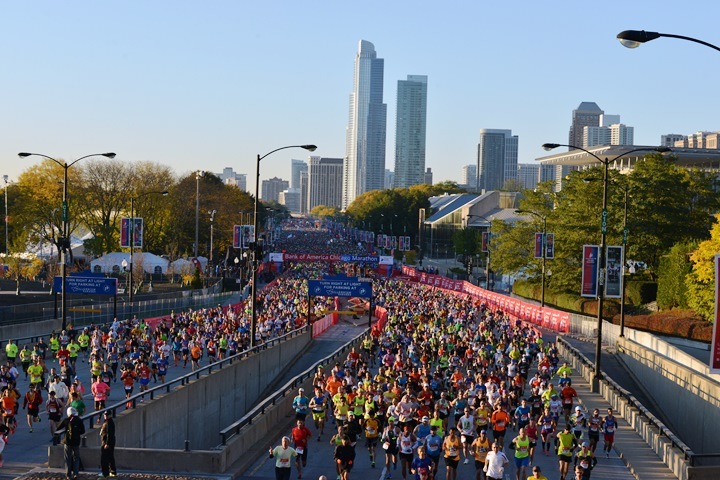 I will run it as a competitive runner in the 60-64 Age Group and despite not being focused over much of the summer, I do intend to race a smarter race than my previous marathons in Chicago and at Bayshore. It will also be my 3rd marathon in 53 weeks! Now that is something I never would have imagine achieving! (Most runners run one marathon a year). Oh and what about that marathon in Boston? Well, it has only been a few weeks now, but I did decide to return to compete once again in the Boston Marathon April 18 2016! I truly never ever thought I would return for the Boston Marathon! My motivation is to join the 16 other runners from our training group to train this winter and enjoy the sights from Hopkinton to Boston and to once again avenge my disastrous Boston experience from 2006 (that is a separate story post). The Boston Marathon will be my last competitive marathon! So much for the running part, back to the career part. A year ago I was not happy at my employers firm. While I thoroughly enjoyed working with the people it was clear that the firm’s owners had a different view of not only architecture but also of how a firm should be managed. As a result of various simultaneous events within the firm at that time I emailed the President of my previous firm OHM Advisors, several years prior to ask if there might be a position available and how I might be able to help them with the architectural efforts. Within moments I received a very welcoming response and the rest as they say is history. It took a short bit of time to complete the transition but by early December in 2014, I was back at OHM Advisors as a leader within the architectural group and very happy to be there. As a part of my return to OHM, I have also been able to rejoin another previous passion of mine over the years. 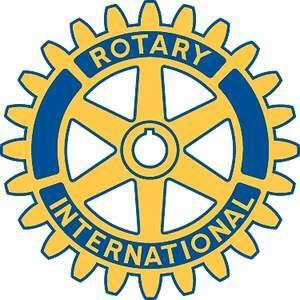 Following a ten year or more absence I have also rejoined the Novi Rotary Club. http://www.novirotary.org The club membership has changed since my previous years as a member between 1986 to 2004. There are new members, new leaders, new service projects, but the same high level of integrity and commitment to service remains. I am very proud and thankful to be a part of this group and look forward to years of service. I never would have guessed that any of these main events would ever likely happen, let alone in a short period of time. So the moral of this story may be to plan ahead, but always be aware of potential opportunities that may exist. You just never know what lays ahead in your future. It’s been a great year and I am excited about the year ahead too. Thanks for taking the time to read this and continue to Run Happy. PS: I also have a very significant announcement I will disclose in early November too, check back often.